Mixology wasn't really a household word when I was a kid, and my father's cocktail of choice rarely veered from a classic martini, so I wasn't exposed to many liqueurs in my youth. But Drambuie was one I remember having around the house, which sometimes got poured over my parents' dishes of ice cream (never mine, I swear). 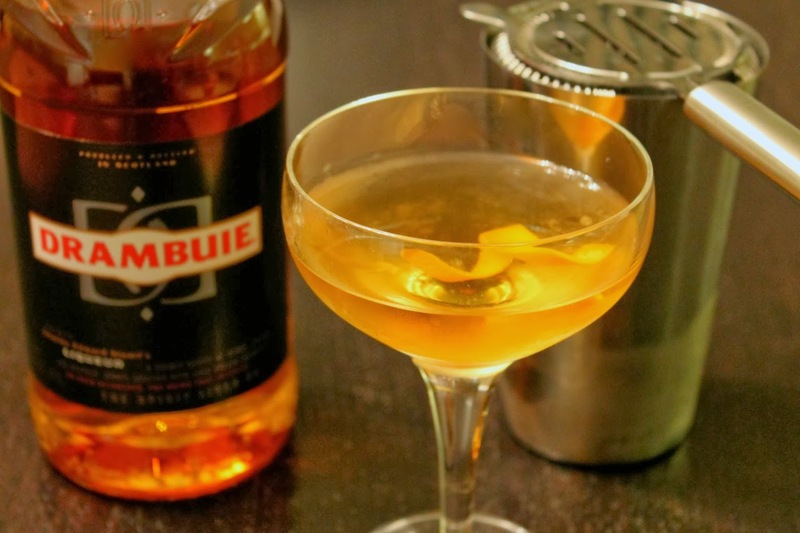 Drambuie is a Scottish herbal liqueur made from Scotch whisky, honey, herbs and spices. Because of this, it's a natural to pair with Scotch. 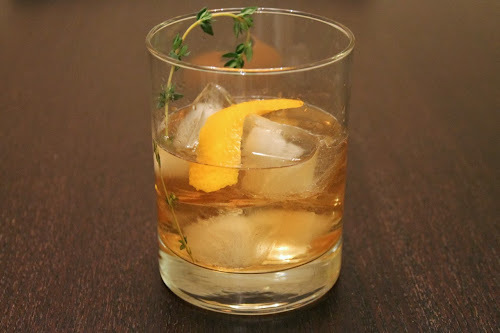 The classic Drambuie cocktail is the Rusty Nail, roughly two parts Scotch to one part Drambuie. For something along those lines, but a little more interesting, the Prince Edward is perfect, pairing Scotch and Drambuie with Lillet Blanc and orange bitters. Jim Meehan's PDT Cocktail Book sources to cocktail to Stan Jones 1977 work, Jones Complete Bar Guide. For something different, I suggest the Tabard Cocktail, named after D.C.'s Tabard Inn. It pairs the liqueur with tequila and sherry and was featured recently in the New York Times holiday cocktails coverage. Combine whiskey, Lillet, Drambuie and bitters in a cocktail mixing glass with ice. Stir until mixed and cold and strain into a chilled coupe glass. Garnish with orange twist. Combine tequila, sherry, Drambuie and bitters in a shaker with ice. Shake until cold and strain into a rocks glass with ice. Garnish with orange peel and fresh thyme sprig. I liked this one. It had potency. The Tabard of the Prince Edward? They're both pretty strong.